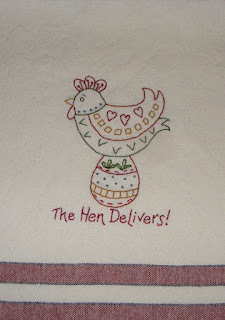 Quilting Adventures: No idle hands here....! Sticky Fabri-Solvy by Sulky! A printable heavy sticky water soluble stabilizer in pre-cut 8.5" x 11" sheets. The product is similar to Transfer eze but less costly. No more tracing! 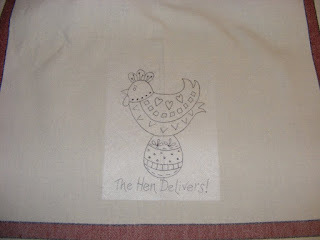 Allowing you to photo copy your embroidery pattern directly on the stabilizer and positioning it on your fabric. Of course, I had to test this product! 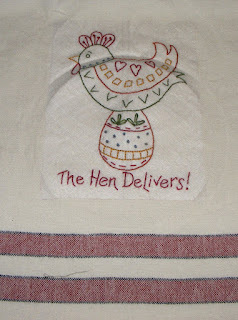 I decided to use it on an item that I find difficult to transfer an embroidery design ... a dish towel! 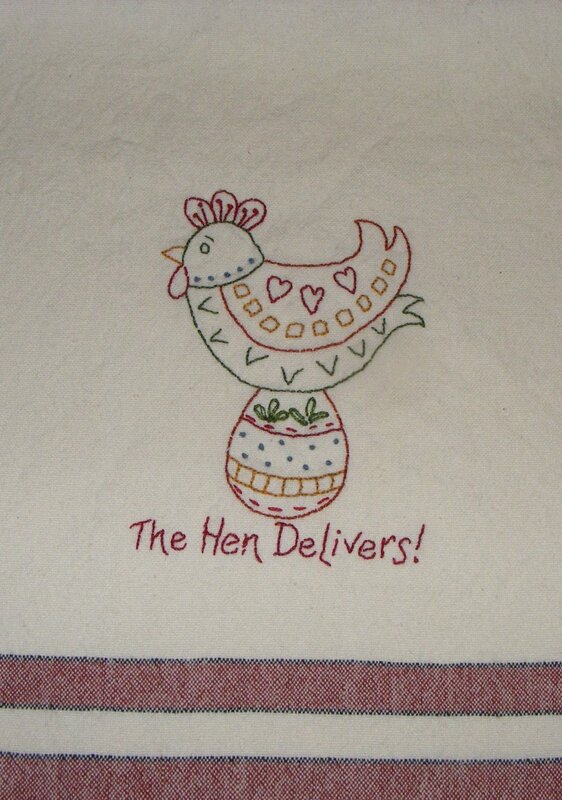 Here you have what the stabilizer looks like on the dish towel. It sticks well and come to find out, it can be re-positioned should you goofed the first time. It might not be as sticky but if you iron (no steam) from the back, it adheres again to the fabric. I usually do my running stitch in one motion from the top of my work. I found it difficult to use that method on this project. I could not tell if it was due to the stabilizer or the thickness of the towel. 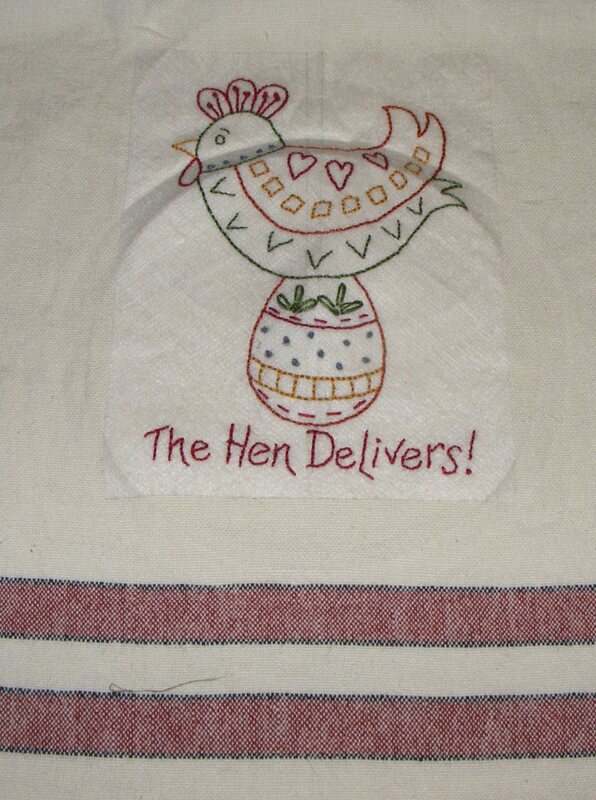 Although I did make several attempts to do the stitches in one motion, it is not recommended. I had a difficult time coming backup to a reasonable space length. The angle also makes it challenging to go back down in the same stitch hole. It is best to do a single movement stitch. 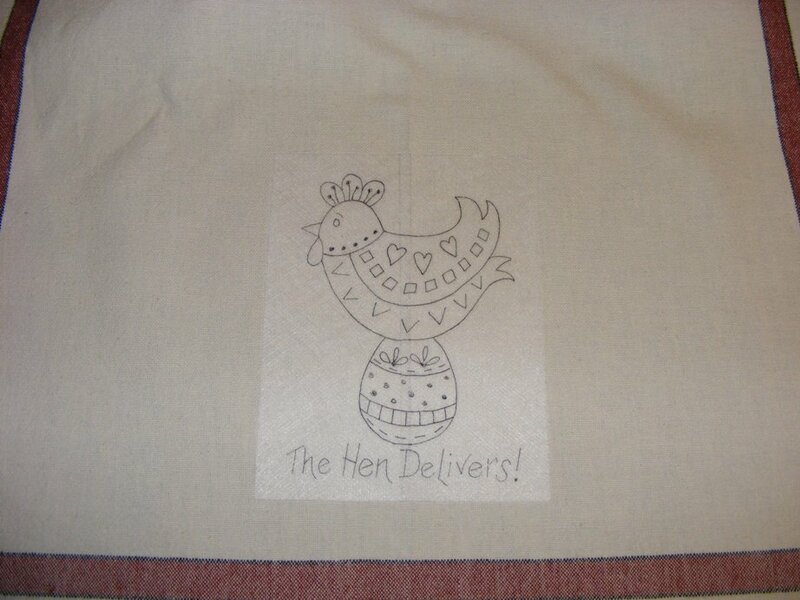 I do like this product and will be testing it on another design using cotton fabric. Thanks for stopping by! Stay tune for further testing of this product! Wow -- thanks for a great tip! I have no problem transferring patterns to cotton, but like you said, towels are a different story. Your little towel looks like it came out just perfectly! Blogland .... We've got a finish...! Santa's in town... sneak peak!